This enclosure features modular, redundant power supplies, multiple backplane configurations and the ability to mount it in either a 19" or a 23" cabinet using a reversible bracket. It supports the following Motorola ISG transmission products: V.3229, V.3400, V,3600 analog modems, UTA 220 ISDN TA, MR64 CSU/DSU, and FT100 T1-Fract. T1 CSU/DSU. 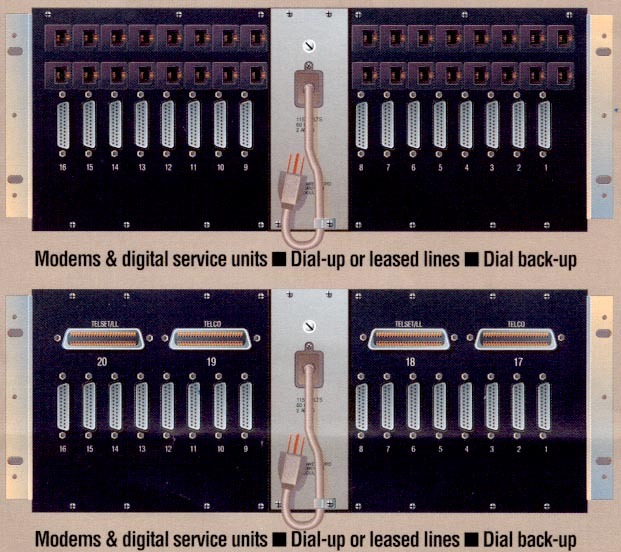 the card modem can only be used for lease line operation in the older RM16 (62005201) rack.